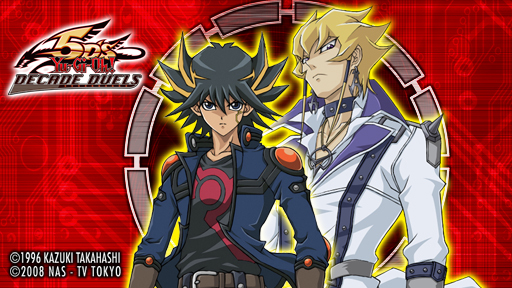 Duel Pass ONLINE Returns – Yu-Gi-Oh! Still Going Strong! Some of you may have already noticed that DPO is officially BACK! It’s been hard to keep up with this site as a solo gig sooooo… If you’re interested in becoming a contributor on Yu-Gi-Oh! Duel Pass Online, reply to this message (I’ll repeat this again at the end in the “Game On! Wrap-Up”). We’ve been lining up some new stuff for DPO for a few months now. Now is as good as time to catch you all up on what’s going on! First and foremost, we’re under new management here at DPO. John is no longer with us so the retail component of our Yu-Gi-Oh! network is no more. Anime and Manga news and recommendations. Video game reviews and industry news. Competitive events for gamers, locally and globally. Don’t worry: we’ll be focusing on Yu-Gi-Oh! but we’ve noticed that some of our other content here has been quite popular as well. In fact, our Anime pieces have been amongst our top searches. We still remain a pretty underground so we hope to make our community more tightly-knit and interactive than ever! Like I said, there’s lots of stuff in the pipelines so bare with us. We’ll be linking to our top fan sites, friends, and affiliates. If your web site and/or blog aligns well with our content, YOU may be the next featured site. With around 50 new visitors each day, we have some good traffic to the site and hope to draw in some new fans soon. SIDEBAR: Can you believe it’s been over ten years now and Yu-Gi-Oh! is STILL going strong? That’s pretty awesome, if you ask me. The 5D’s series has been a big hit, in no small part thanks to the folks at Shonen Jump (be sure to follow ShonenJump, NipplesOfFate, and Yogizilla on Twitter) – w00t w00t!! I’m particularly excited about sharing some of my recent Yu-Gi-Oh! purchases. We’ll be doing some pack/box busters and sharing our favorite cards from different pack releases/series. We’ll also discuss our favorite Yu-Gi-Oh! video games, movies, and MORE! In our effort to increase our following and meet fellow geeks/gamers, we will be wrapping up major blog entries with your very own “Call To Action”. Every good blog should drive action and encourage reader participation so we hope this sets up more opportunities for us to have good times together. Here we go! Help us reach 500K views. We’re over 400K views which is pretty impressive for a site with minimal promotional effort behind it. We need more folks to put us on their blogrolls, reviews, favorites, bookmarks, and all that good stuff. Sharing is caring! Like a topic? Leave your mark. No matter how long or short, we love reading comments from our fans. Keep it friendly and specific. If it sounds like spam, we may just unapprove your comments (sorry, no free links from us). While you’re at it, be sure to Like, Share, Rate, and all that good stuff. Let’s UNITE! If you have a web site or blog, link to us and we’ll return the love. While we run away from salespitchy, spammy messages, if you naturally introduce yourself and have something particularly interesting to share, we’ll be sure to check it out and pass the word along, as appropriate. Together, we can reach new audiences.. EZ. Want more? Tell us. We have lots of things lined up for DPO but, to stay focused, we need your help. If there is anything in particular you like on our site, let us know. All it takes is a quick comment. What’s more is that your comments help us find your web sites and return the favor. It’s a win-win situation! Get friendly and support DPO Friends. DPO Friends is a new page where we feature our favorite and affiliated sites. Be sure to check out what our friends are up to. If you’re savvy with social media, plug our friends away – a little extra exposure never hurts! Don't mess with these guys.. They're the real-deal-Holyfield of the Yu-Gi-Oh! duelist kingdom, y0.